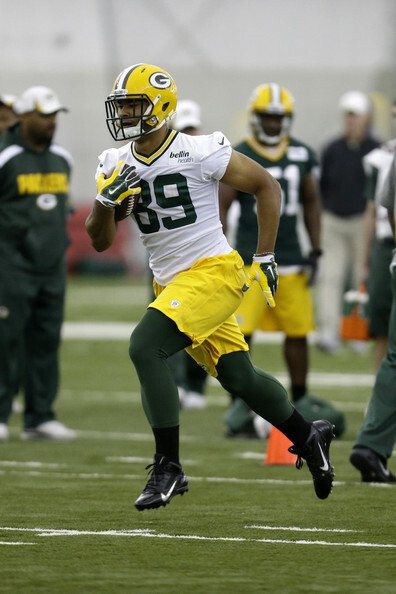 In the, as of yet, unresolved tight end situation in Green Bay, rookie Richard Rogers may be pulling ahead. If Rogers keeps this up, he could be another highly rated tight end to grab in rookie drafts. Ravens rookie linebacker C.J. Mosley played with the first team in practice and OTA’s and should be the week one starter. Him and Steelers linebacker Ryan Shazier will battle for the top IDP rookie. Expect Vikings running back Adrian Peterson to have more catches this season with Norv Turner in town. Adding any value to Peterson is a plus as he approaches the dreaded running back wall. This entry was posted in Daily Update and tagged adrian peterson, c.j. mosley, norv turner, richard rogers, ryan shazier. Bookmark the permalink.